Our society does a better, but still poor, job of promoting positive female role models. Most of our — let’s face it — male designed images of women fall into rather narrowly defined stereotypical categories: nurturing care-giver, stay-at-home soccer mom, matriarchal office admin, overly bossy middle-manager, vacuous reality-TV spouse or scantily clad vixen. But every now and then the media seems to discover another unsung, female who made significant contributions in a male-dominated and male-overshadowed world. Take the case of computer scientist Margaret Hamilton — she developed on-board flight software for the Apollo space program while director of the Software Engineering Division of the MIT Instrumentation Laboratory. Aside from developing technology that put people on the Moon, she helped NASA understand the true power of software and the consequences of software-driven technology. 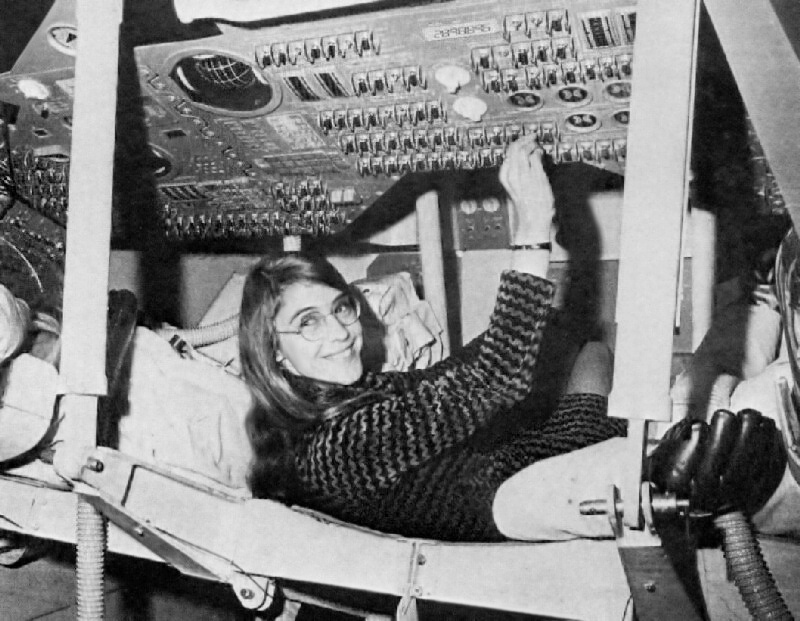 Image: Margaret Hamilton during her time as lead Apollo flight software designer. Courtesy NASA. Public Domain.